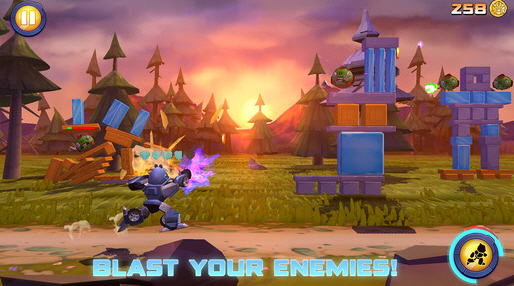 Rovio has launched Angry Birds Transformers for the iPhone and iPad. COLLECT- Unlock a roster of heroes (and villains) with unique attacks and abilities. DESTROY- Leave the slingshot at home – this time you have some SERIOUS firepower. VEHICLES- Oh, yes! Car, truck, tank or plane – transform to dodge falling hazards. UPGRADES- Get stronger weapons and new abilities for every Transformer. TAG TEAM- Borrow a friend’s character to unleash a devastating two-bot assault. TELEPODS- Scan ‘em to unlock, revive or boost your bots.